Move over, sweetie! There's a new ghost girl in town! It's the Halloween season and that means everyone is in the mood to get scared! Luckily for some, there seems to be no shortage of people out there willing to do whatever it takes to scare others---even if it means employing tactics that aren't exactly....legit. 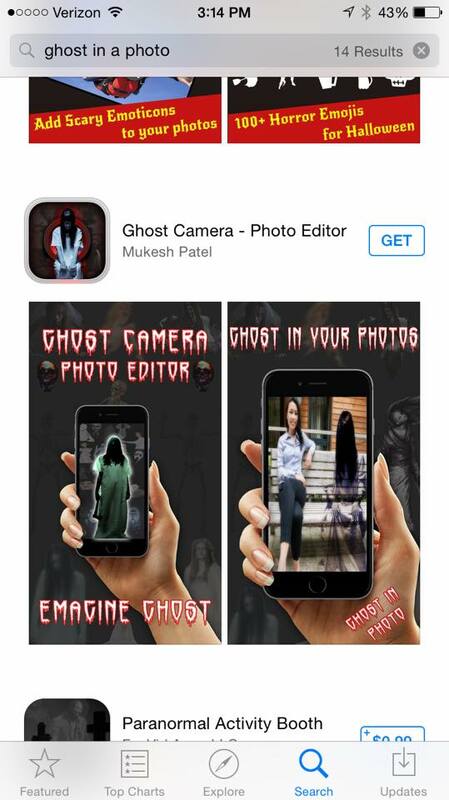 In the paranormal field, Halloween season is the peak of ghost app season! Social media and even mainstream media is filled with submissions of ghost photos that seem too good to be true, and in almost all cases, they are too good to be true! Instead of the Holy Grail of apparitional photography, the overwhelming majority of these photos are nothing more than ghost apps. Sometimes the photo is a complete and utter hoax, submitted with the full intention of fooling as many people as possible. Other times, it's a joke that's gone too far---someone uses the app to alter a photo, shows it to a gullible friend or loved one, and boom! It's now being posted EVERYWHERE. Whichever the scenario, its extremely frustrating, especially for paranormal investigators. 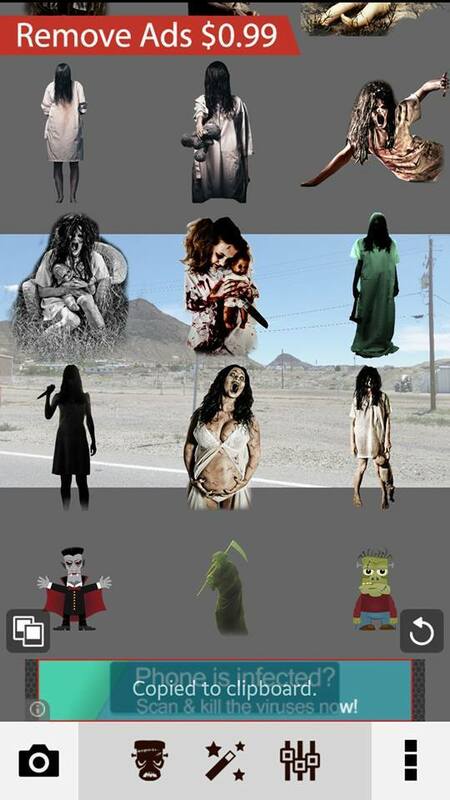 Several years ago I posted about what I believe to be the absolute most prolific ghost app image ever used. If you've been on Facebook, Reddit, Twitter or anywhere else on the internet in the last five years, you've probably seen the little girl in plaid. She has made her appearance on trail cams, in mirrors, and on staircases. 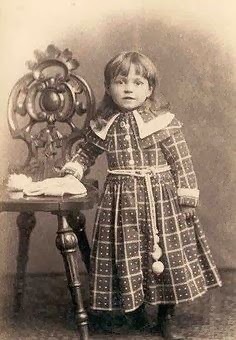 And while her image is freely available in the Ghost Capture app, she's actually based on a REAL photograph of a real little girl. Whenever she pops up, I like to joke that her descendants should be receiving royalties for her image...but over the past few months it seems like another ghostly app girl is quickly moving to the front of the pack. 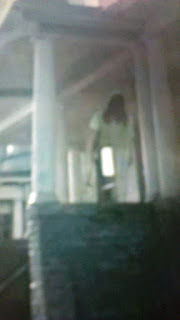 While she still is no where near the popularity level of our previous ghost girl, "axe girl" has popped up in at LEAST four different photographs in recent history, including one posted on a local paranormal page, claiming it to be from West Virginia. Once I showed the image in its app menu, it was quickly removed. However, she would make an appearance in ANOTHER photo shortly after. May I please introduce you to the little lady I call Axe Girl? Axe Girl definitely has the potential to go far, as her image is available in at least TWO different app programs. 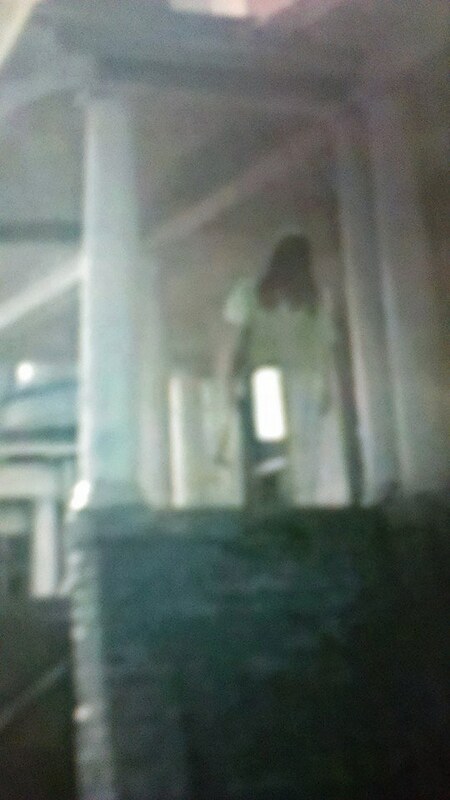 I originally found her in the app, Ghost in Photo, by Next Generation Technology for Android, but another researcher found her in Ghost Camera-Photo Editor. She even receives top billing, being shown in the app's home screen, lol! But where did this girl originally come from? That's a question I'm not entirely sure I can answer. Obviously, the image was pulled from this photo below. You can even see the light coming in from the window, as it wasn't properly cropped out of the app image! But where did this photo come from? When I conducted a reverse-image search, I found TONS of hits. 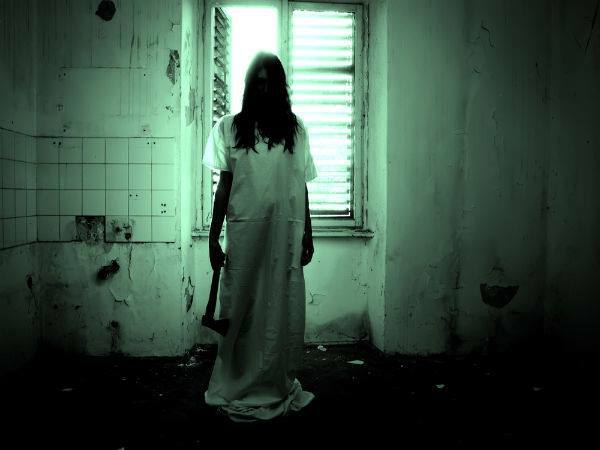 Many websites are using this image, especially websites for Halloween haunted house attractions! The earliest use of the image that I could find was for one such place in Wisconsin from 2011---but I still haven't been able to track down exactly why this photo was taken and by whom. If you have an answer, hop on over to Facebook and let us know!